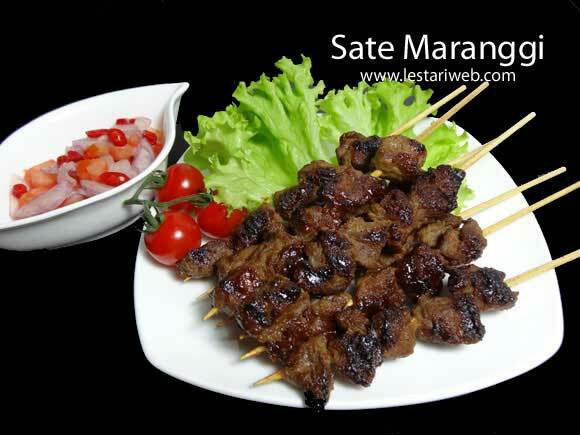 If common Indonesian Sate are mostly made from chicken or lamb fillet, Sate Maranggi is one exception which made from beef meat. Sate Maranggi is also one of the 30 Indonesian Culinary Icons. 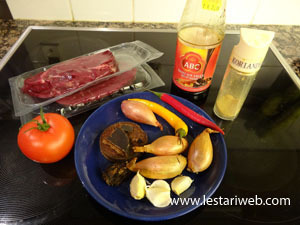 It is a good choice for whom doesn't keen of Lamb meat ;-). It is usually served with either with peanut sauce or Sambal Kecap, an Indonesian relish made from sweet soy sauce, chilli, sliced shallots and diced tomatoes. 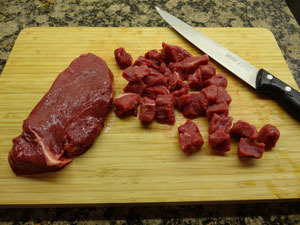 For Satay: Cut the beef into dice. Put into a bowl. 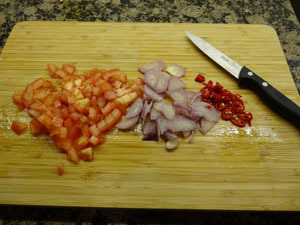 Prepare the ingredients for the paste, cut in smaller pieces if necessary. 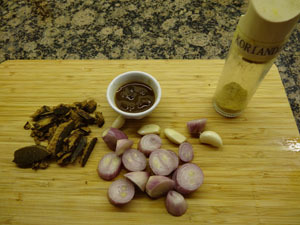 For Sate Marinade: Put all ingredients for the paste in a blender. 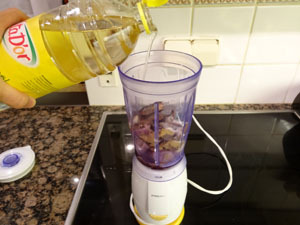 Add small amount of fried oil if necessary. 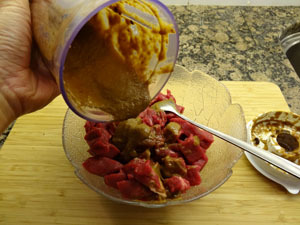 Transfer the paste into a bowl, stirr to mix. 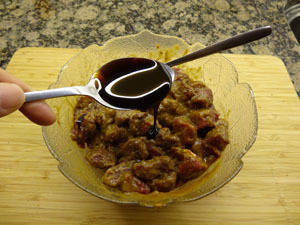 Add kecap manis, stirr to mix. 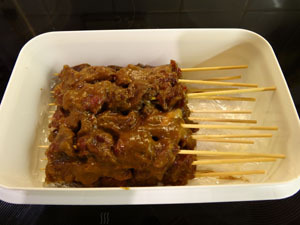 For Satay: Put about 4 - 5 cubes of beef satay on each bamboo skewer. 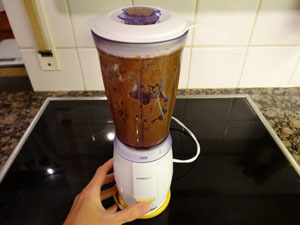 Put in a container & keep in the refrigerator for 1 hour to allow the flavors to blend. 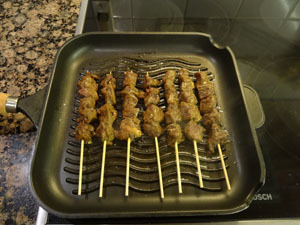 Prepare the garnich & serve it right Satay right away while hot with rice.